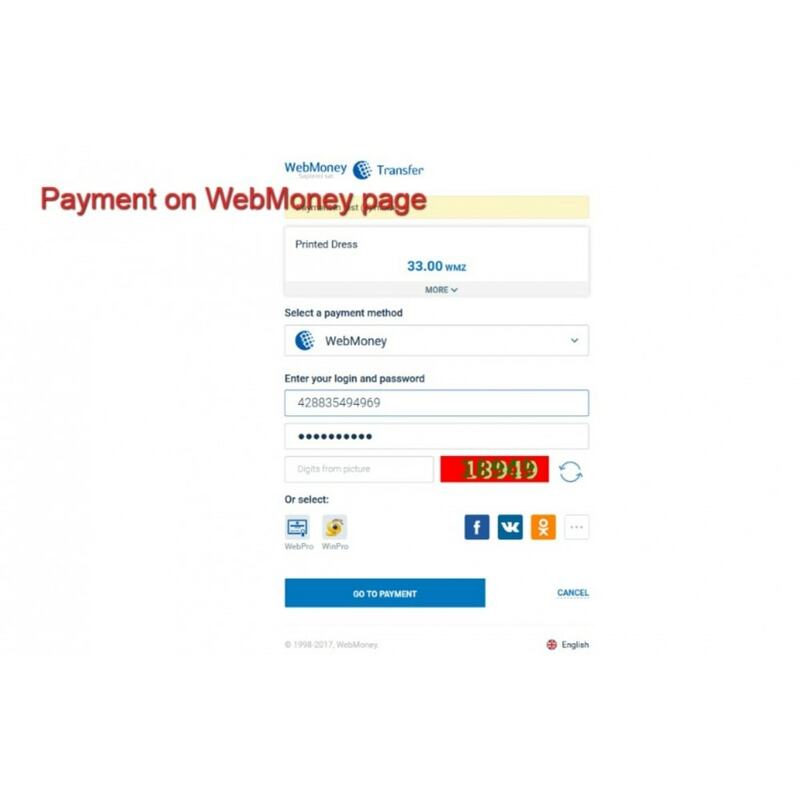 Accept payments using Webmoney. 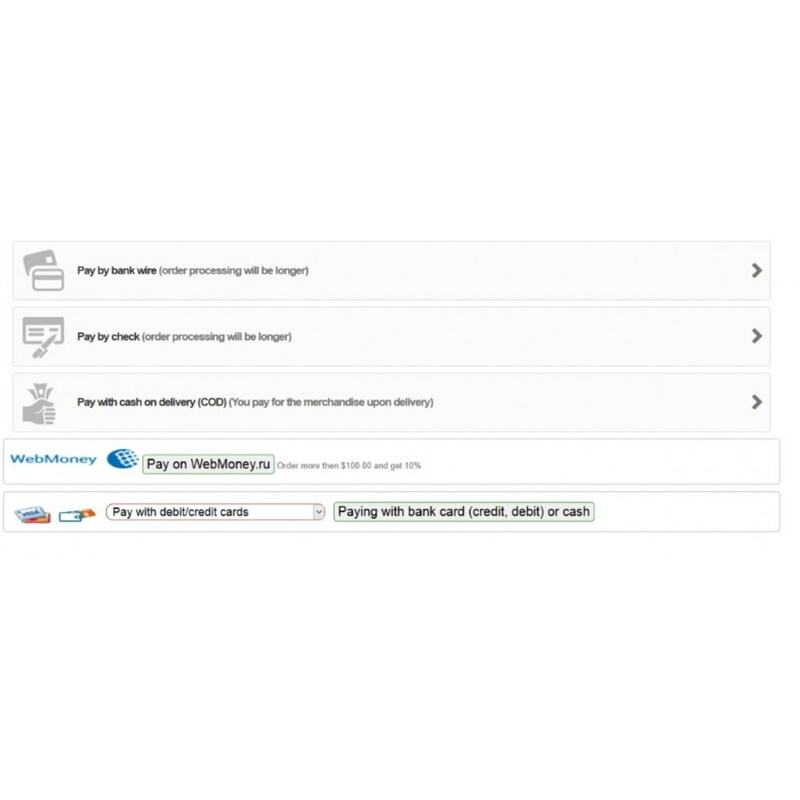 Customers can use Webmoney purses, terminals and also banks credit/debit cards. 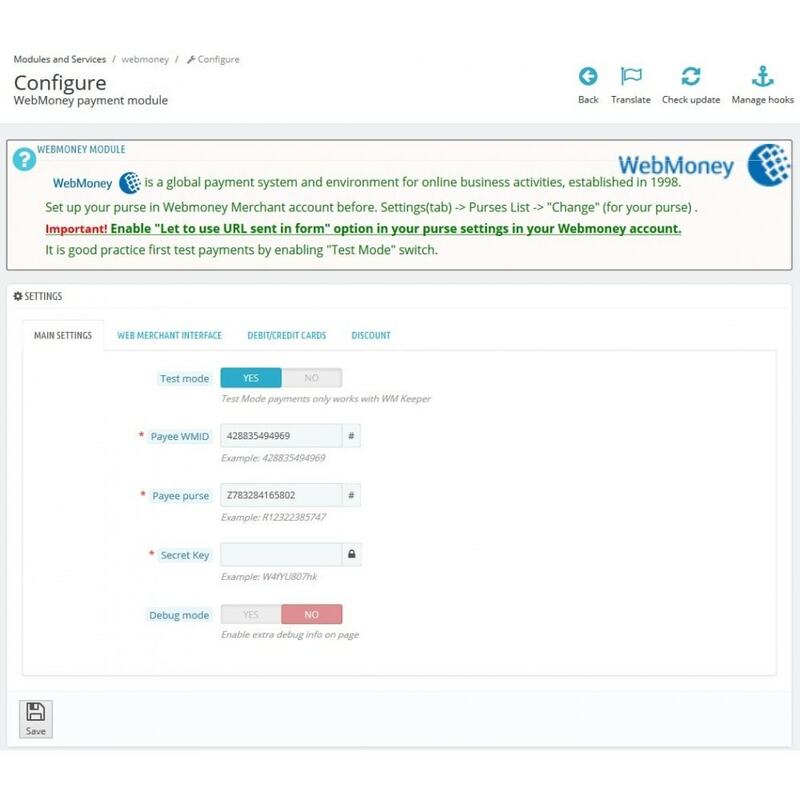 Allows you to reward your customers with discount for using Webmoney in your store. 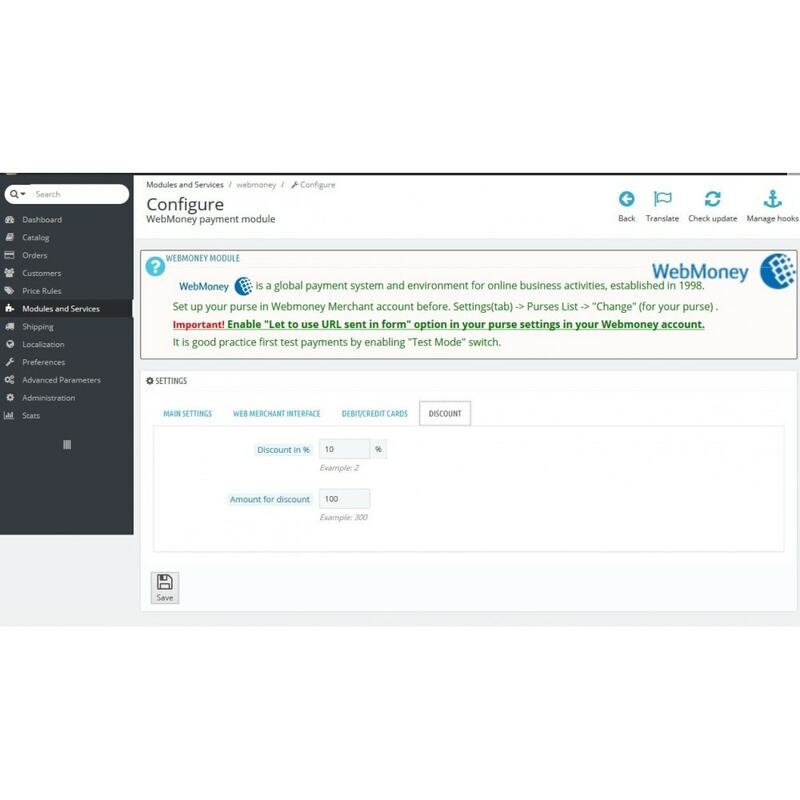 Webmoney is one of the most popular and trustful on-line payment systems in Russia since 2003. It has a very high level of security for customers as every payment transaction is confirmed by SMS or email. 1. Accept payments in your online store from WM-purses, WM-cards, bank cards(credi/debit), payment terminals, online banking etc. 2. Enable discounts (in %) for buyers if order amount is more than a certain sum. 3. Sandbox option (test mode). 4. 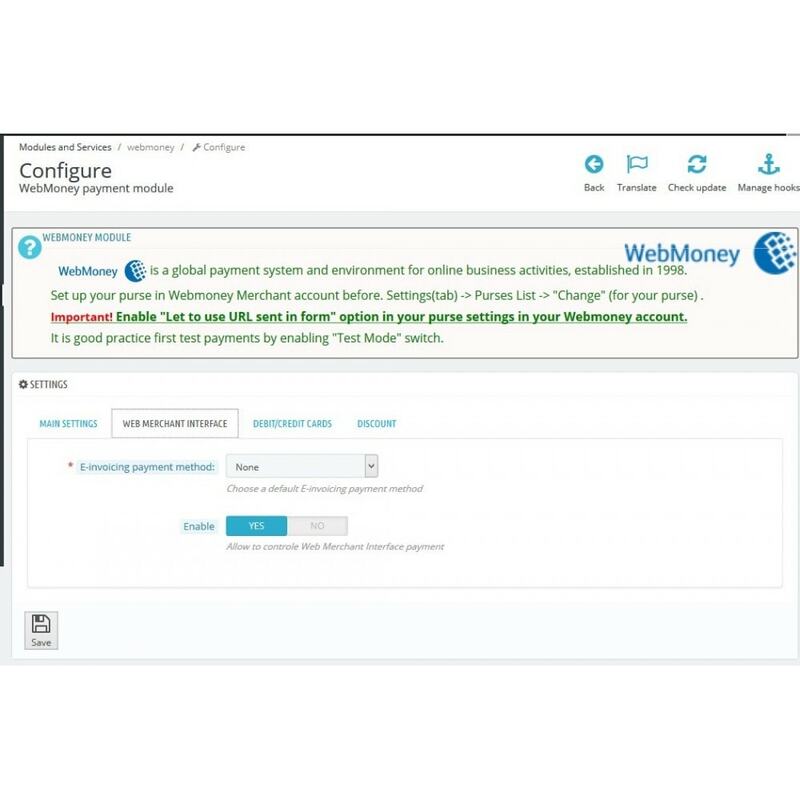 Option to set up default E-invoicing payment method for buyer. 5. 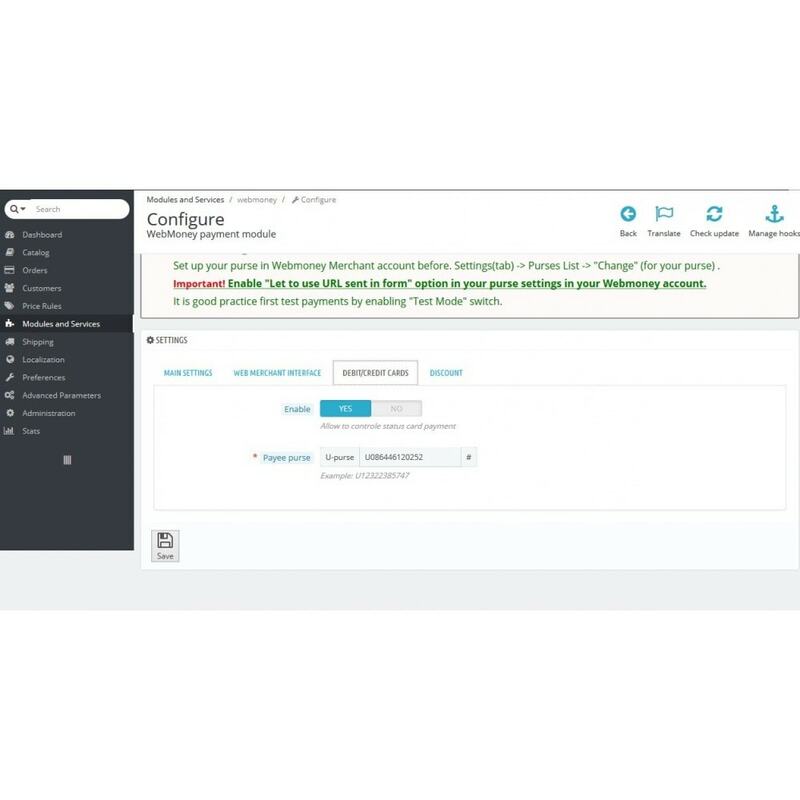 New and responsive module's "Setting page" based on Bootstrap.